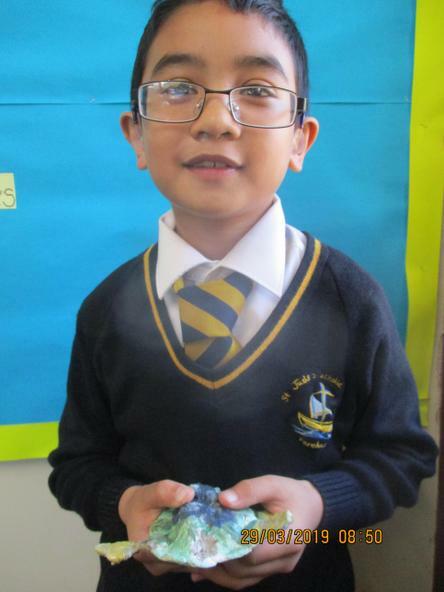 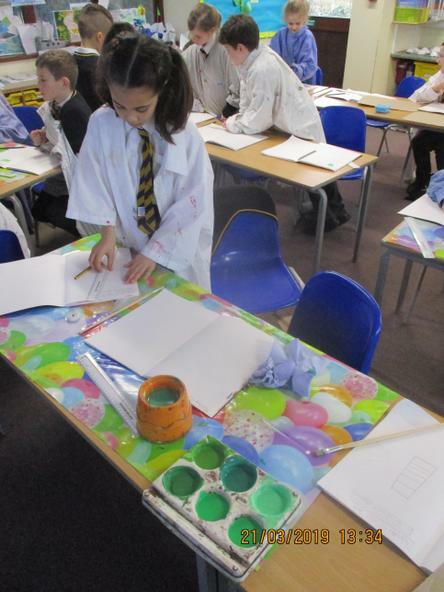 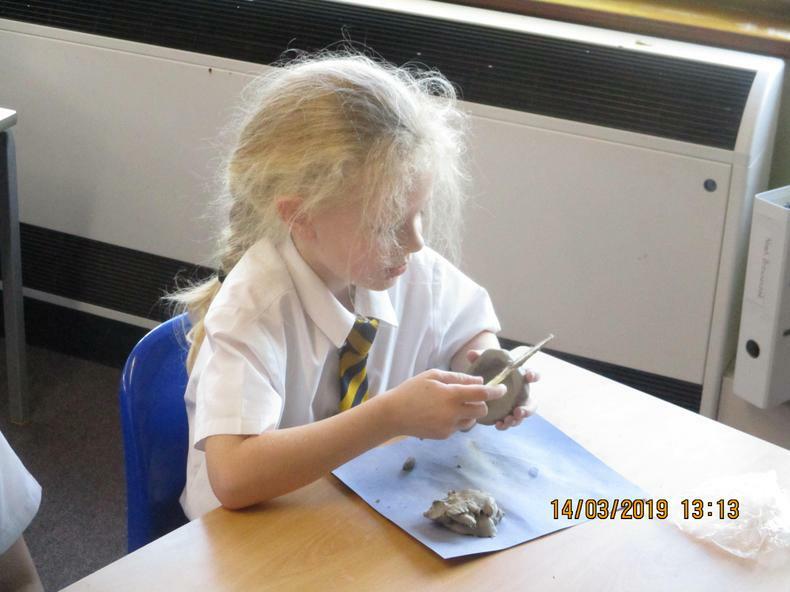 Year 3 explored the purpose of figureheads on ships, and learnt that they are used as a religious symbol to protect the ship and to express the sailors’ belief, that the ship is a living thing. 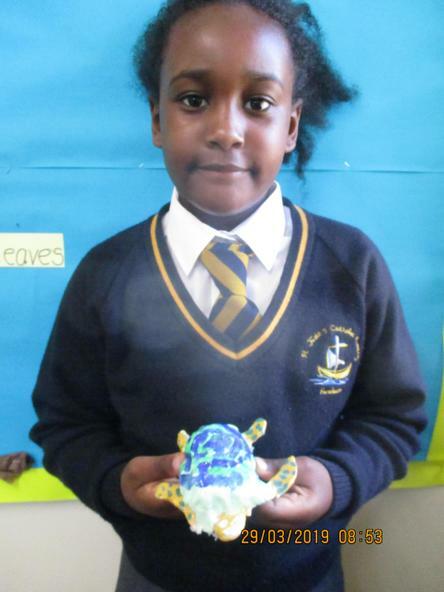 We looked at which animals/figures are commonly chosen for figureheads. 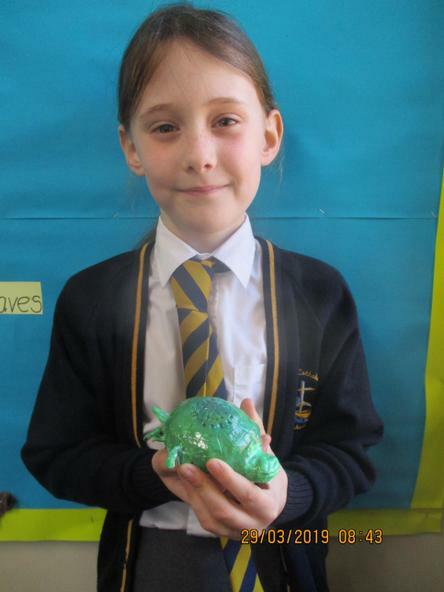 Our chosen animal was inspired by the Leatherback turtle in the novel we are currently reading, The Wreck of the Zanzibar. 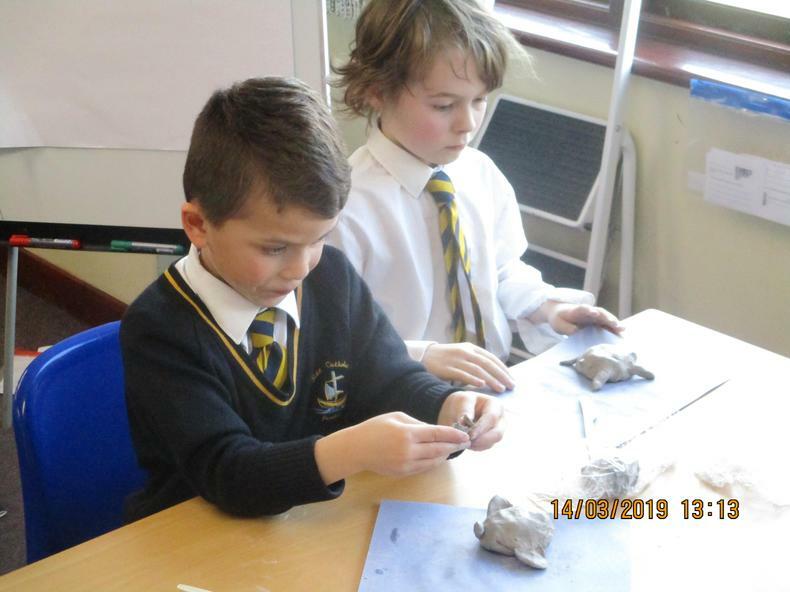 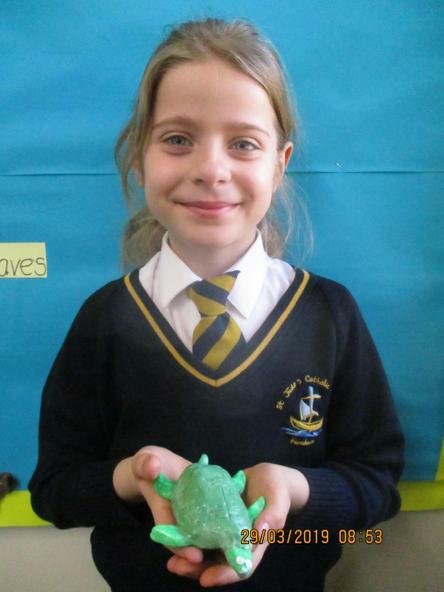 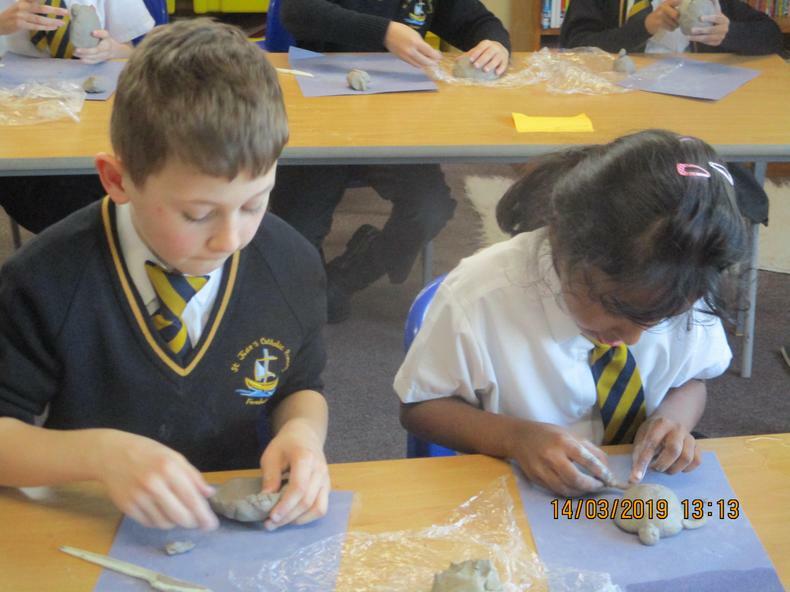 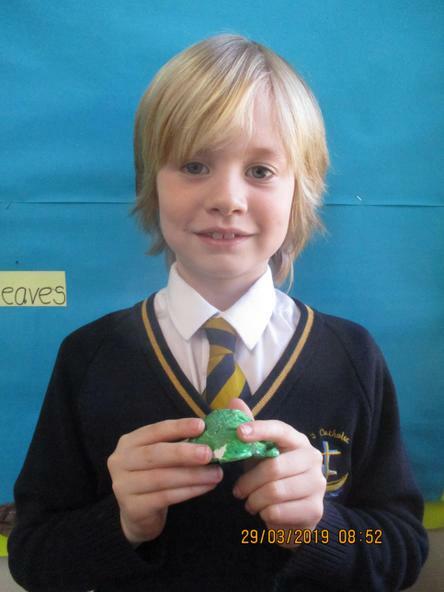 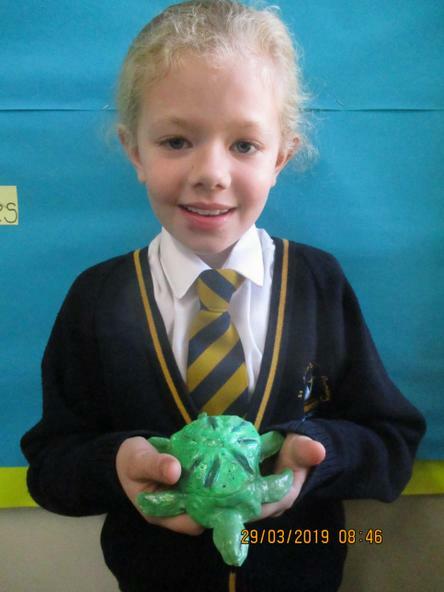 We created our figurehead sculpture, using clay. 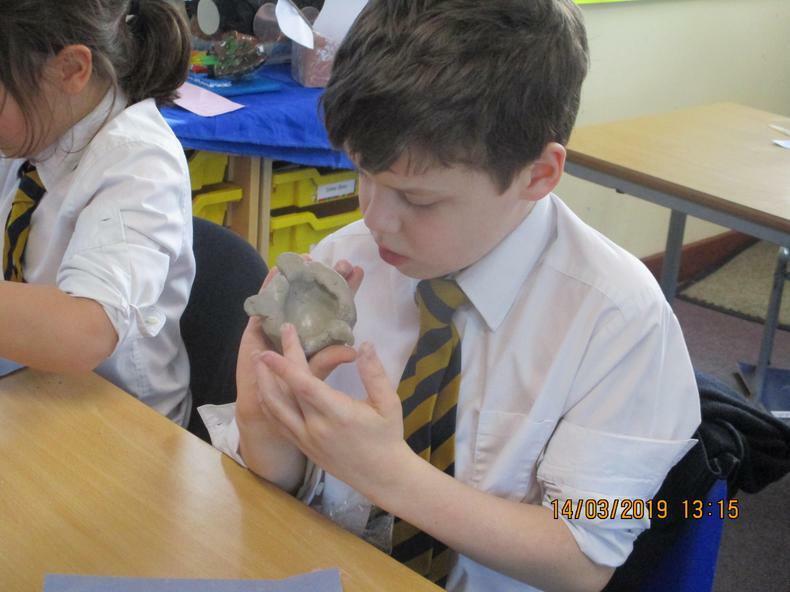 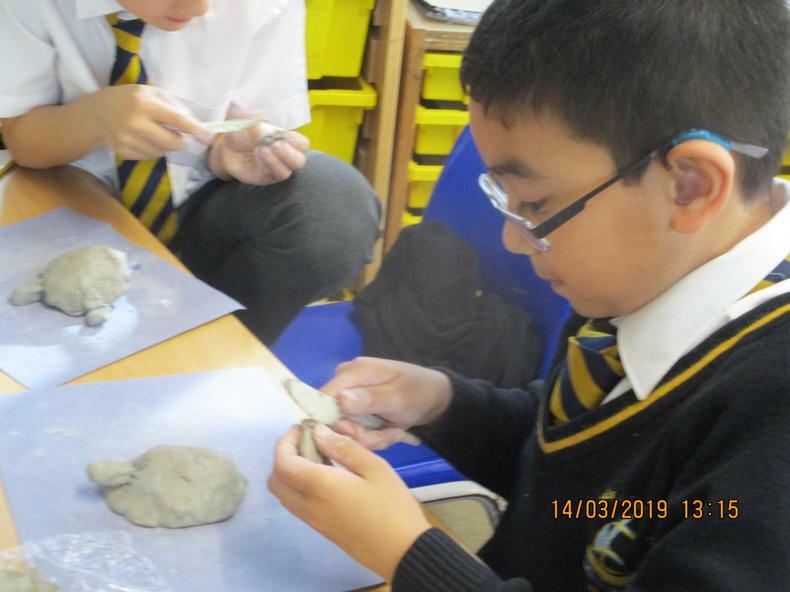 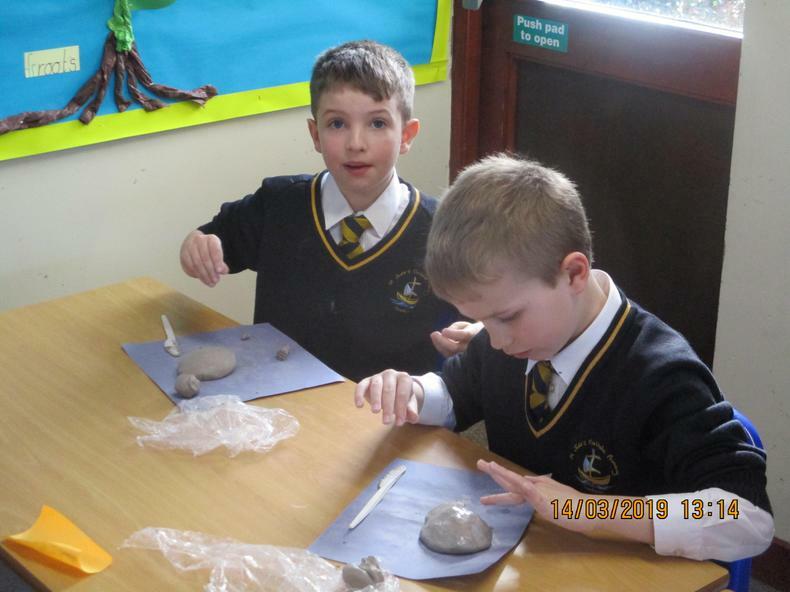 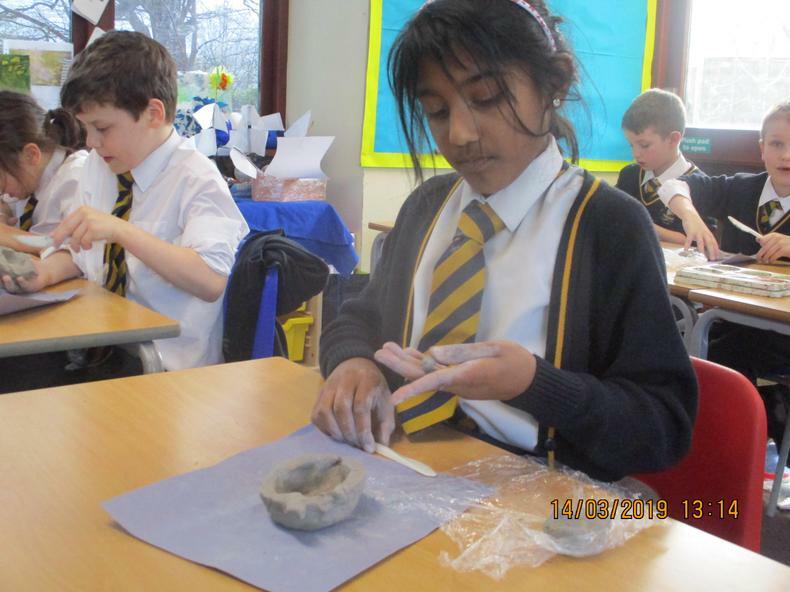 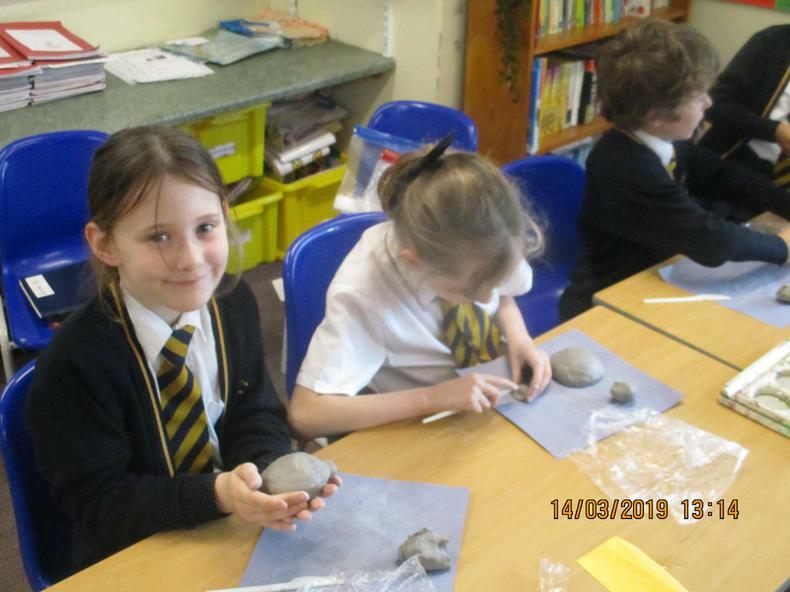 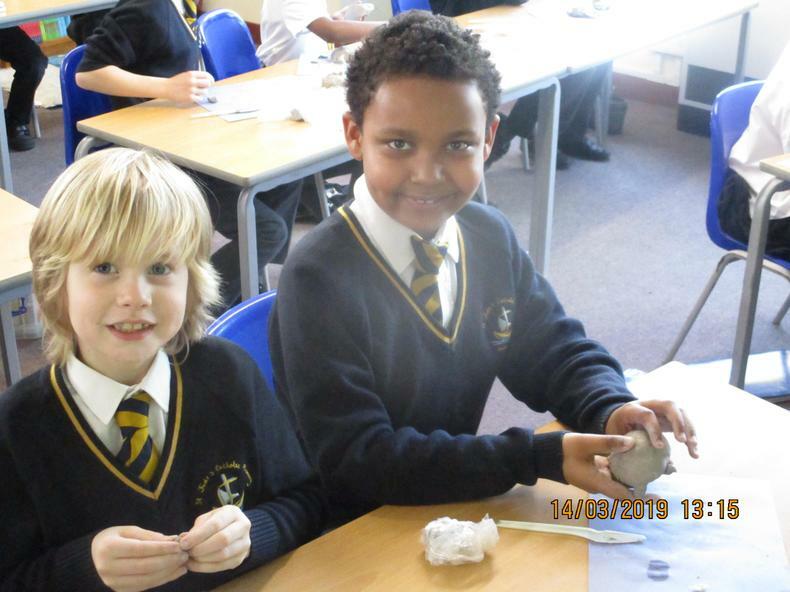 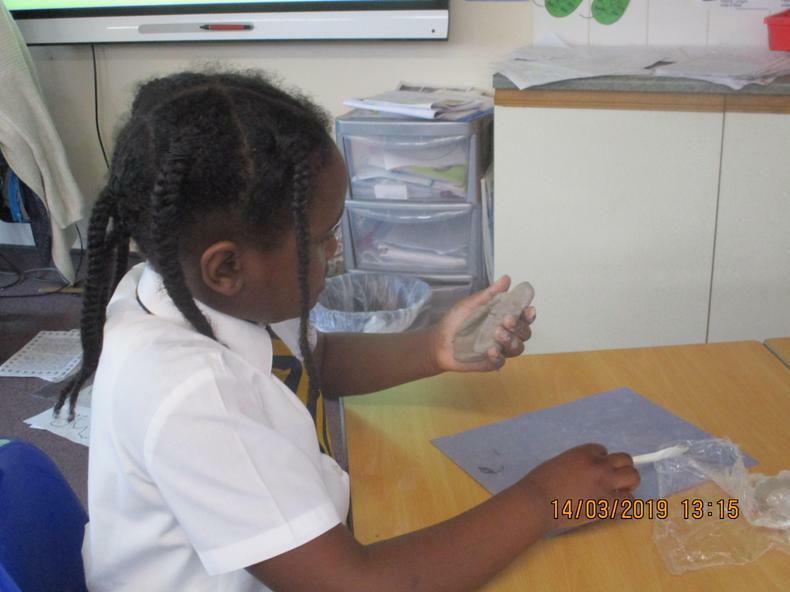 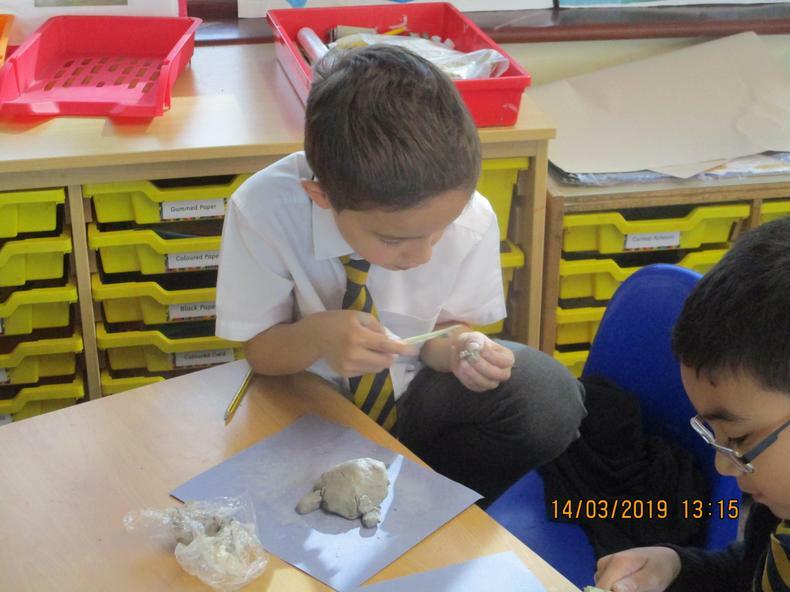 We moulded the clay and attached body parts using a technique known as ‘slipping and scoring’. 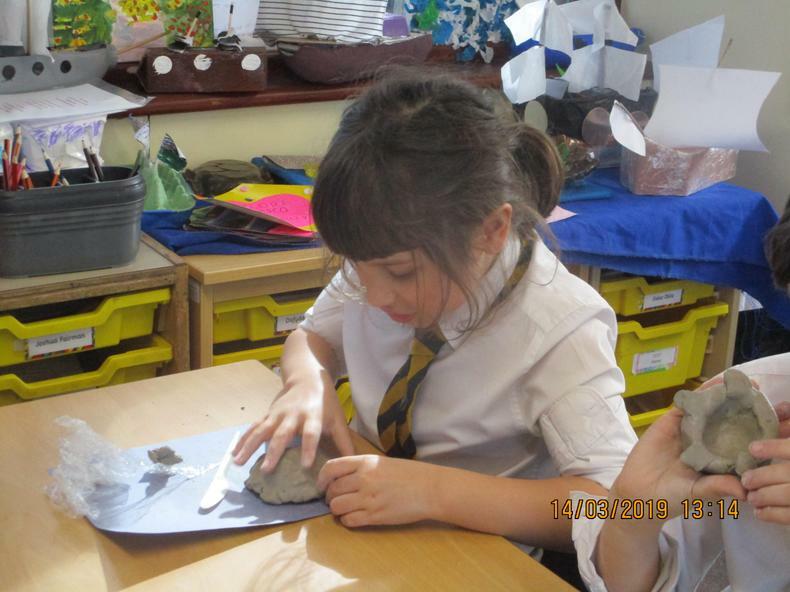 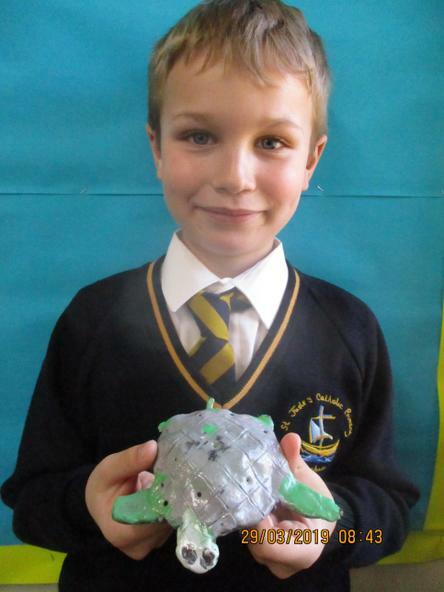 Some of us decided to create texture and patterns on the turtle shell, using different tools. 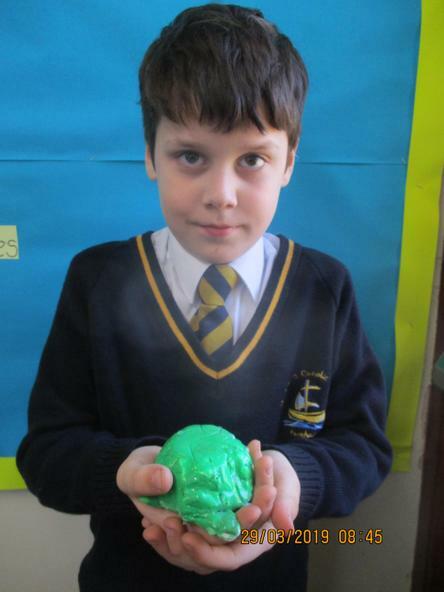 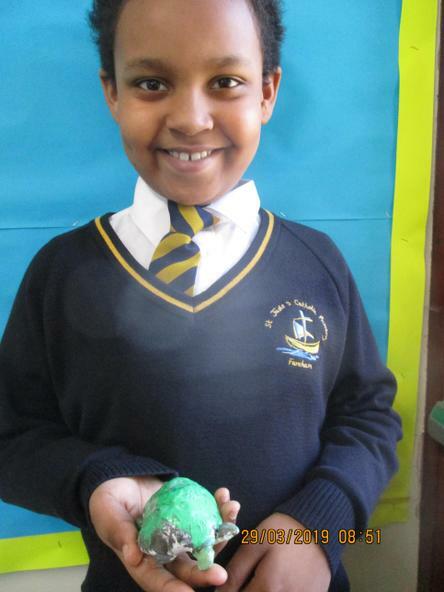 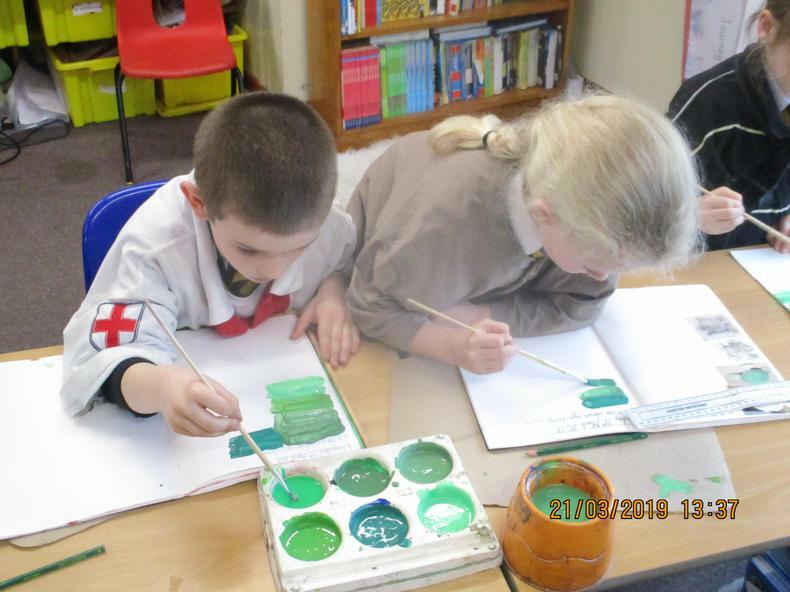 After our models had dried, we painted them a base colour using white paint. 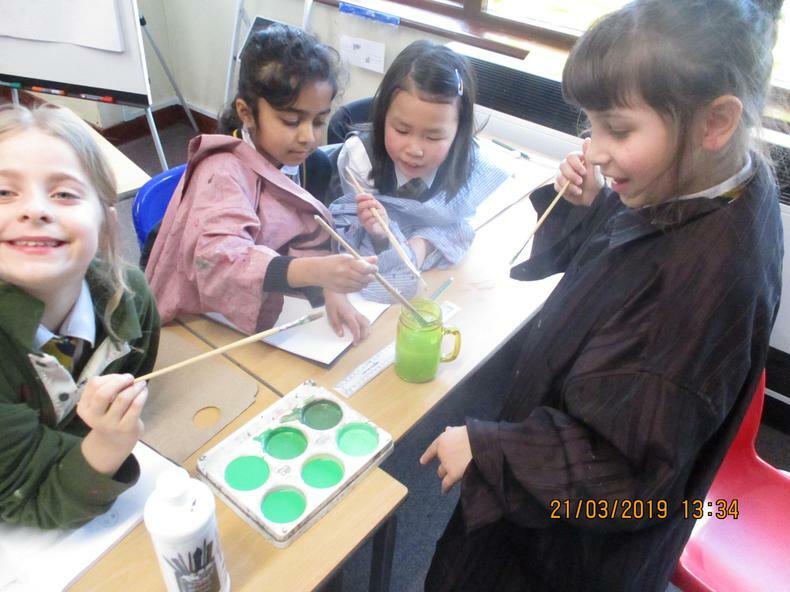 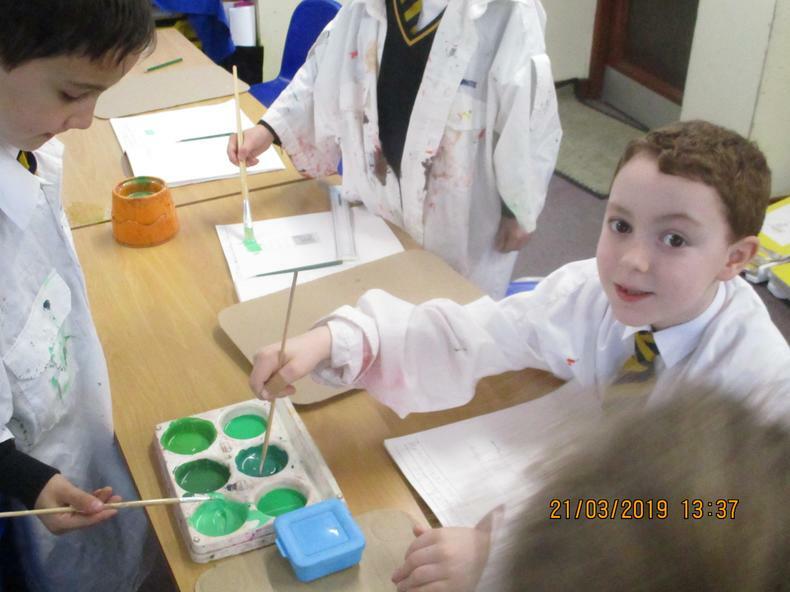 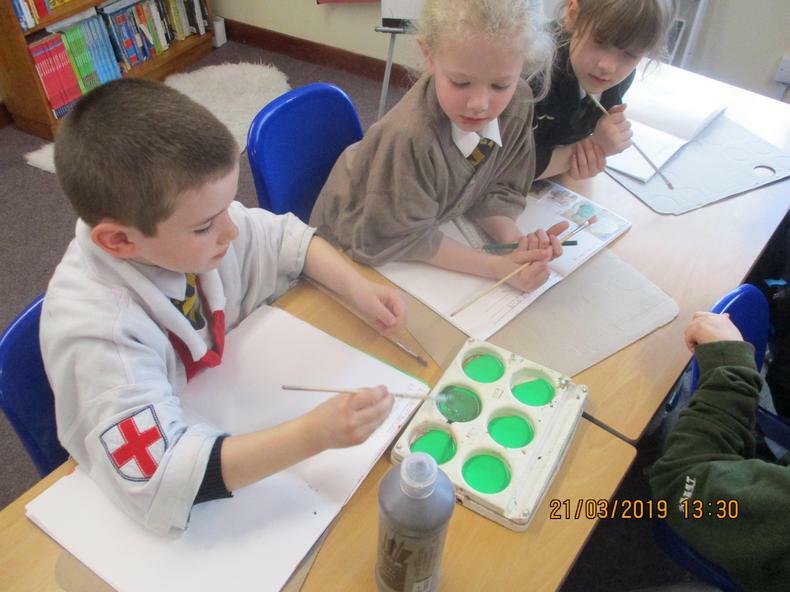 Thereafter, we mixed light and dark colours to the green paint, to create different shades of green and then painted our turtles. 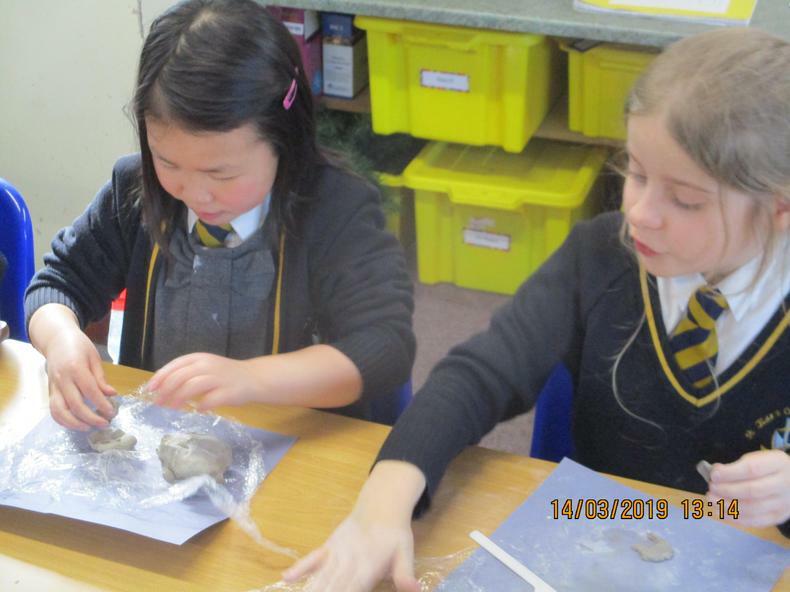 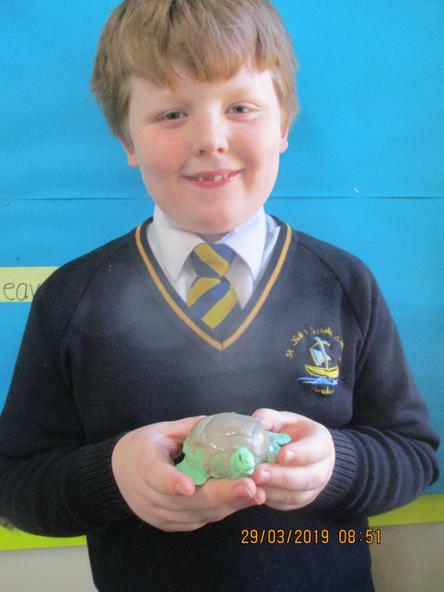 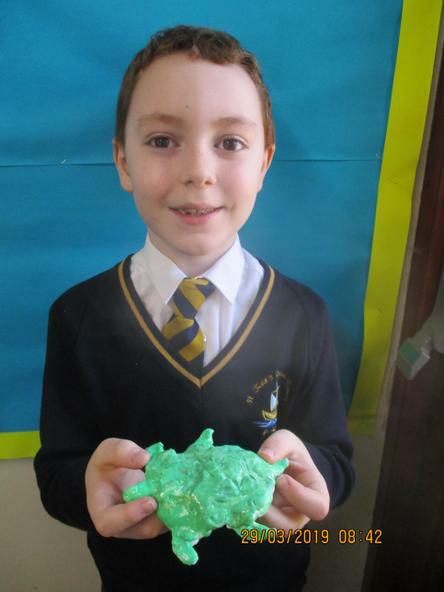 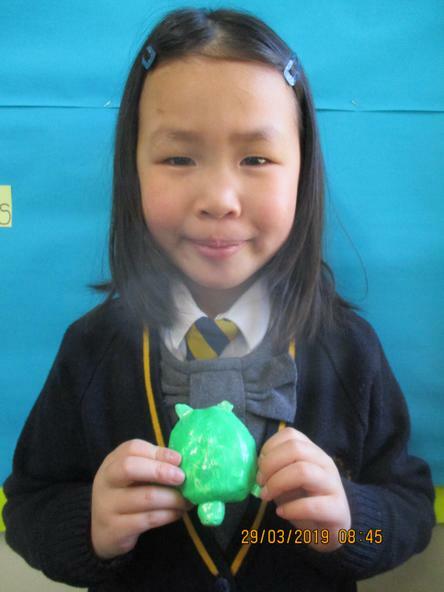 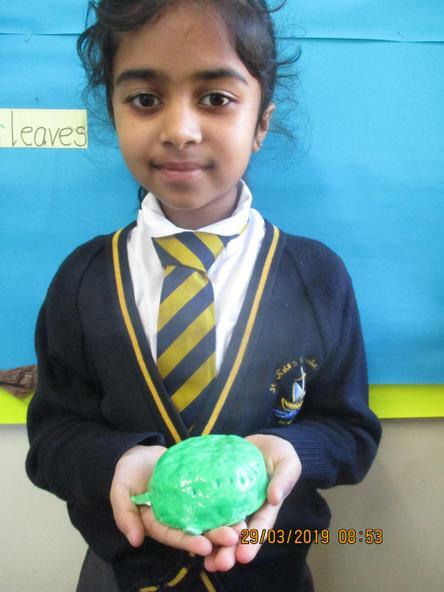 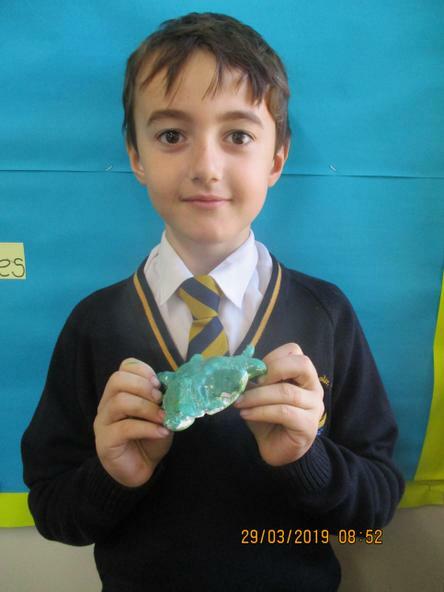 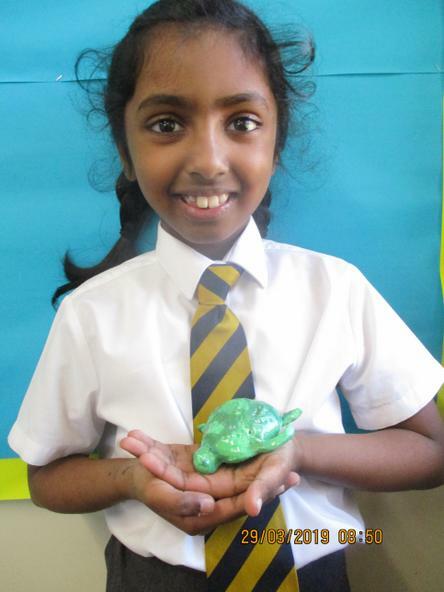 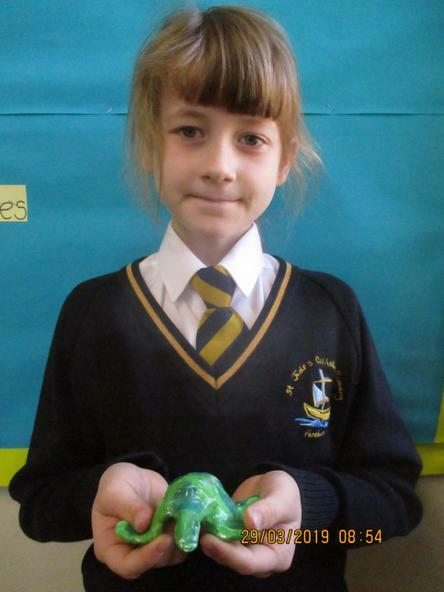 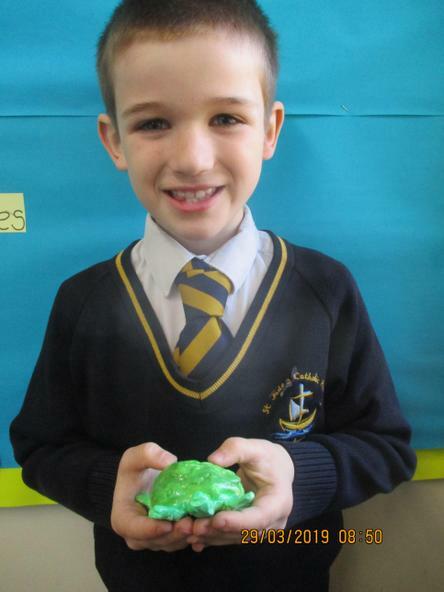 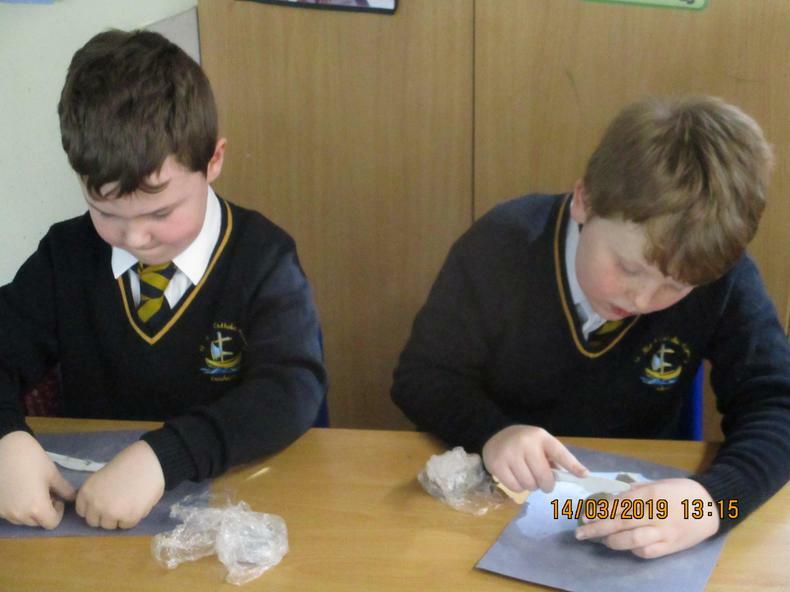 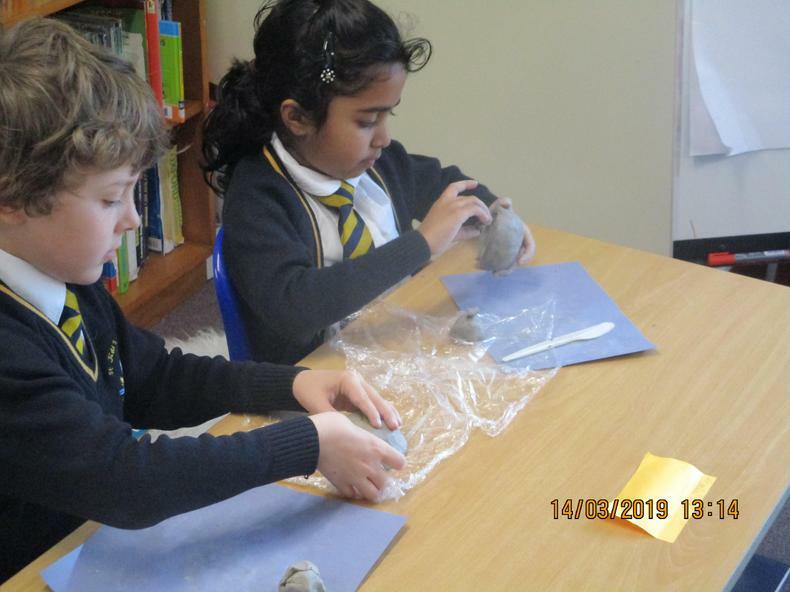 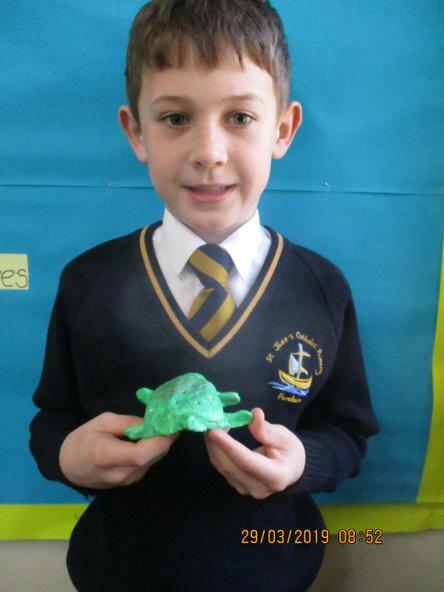 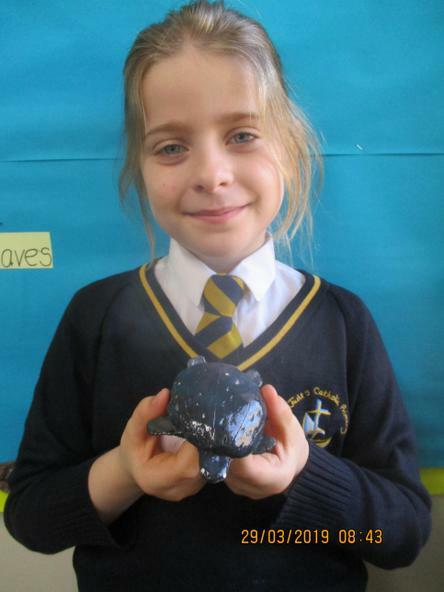 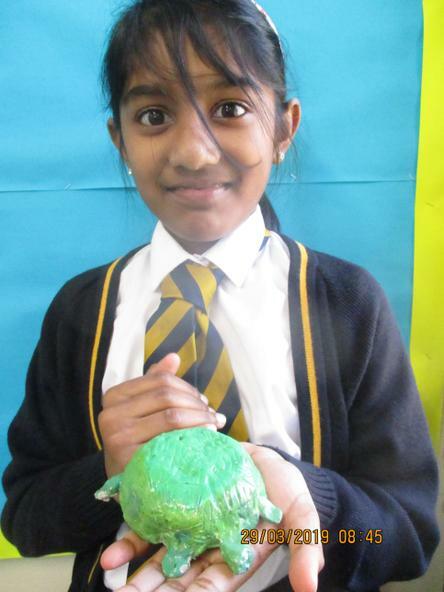 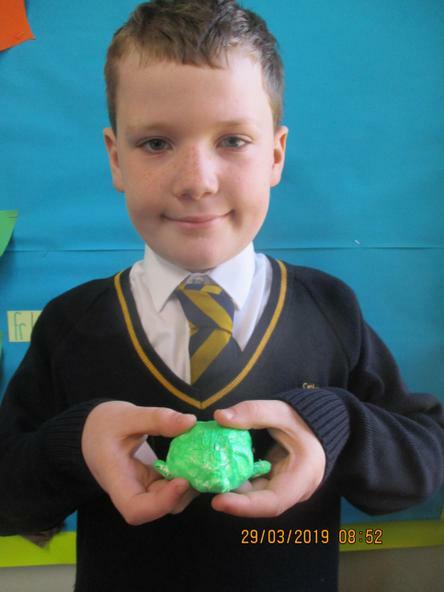 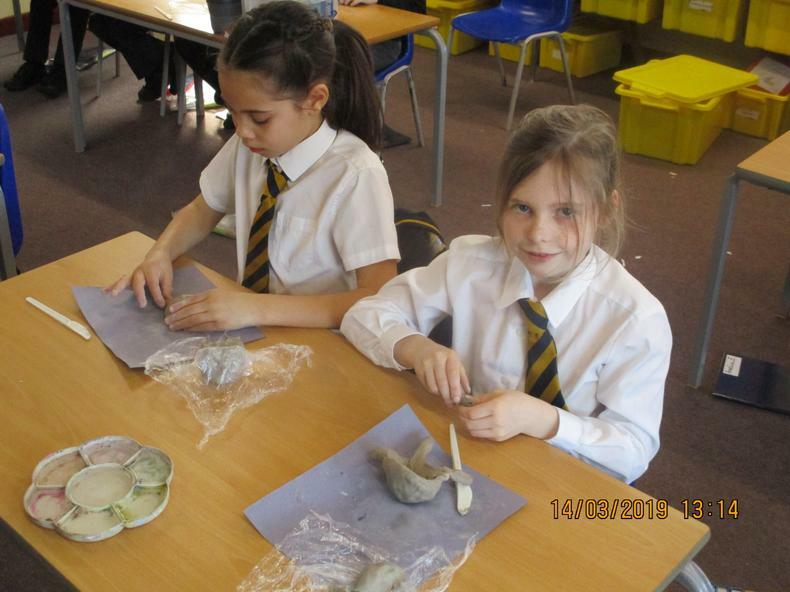 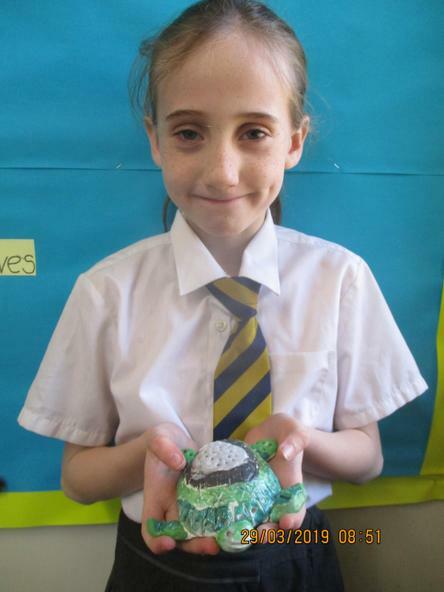 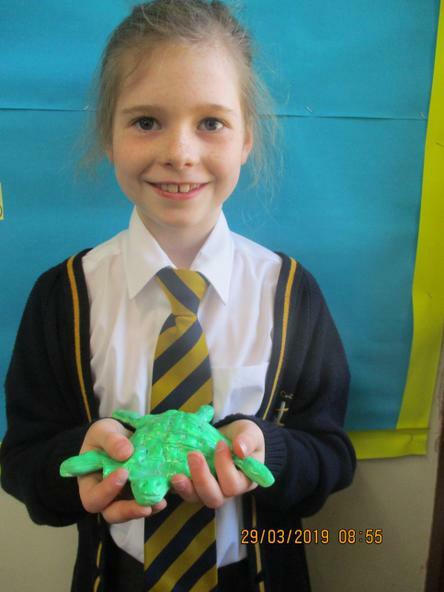 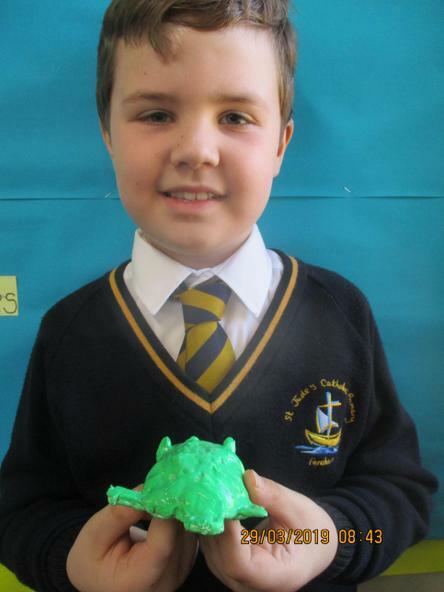 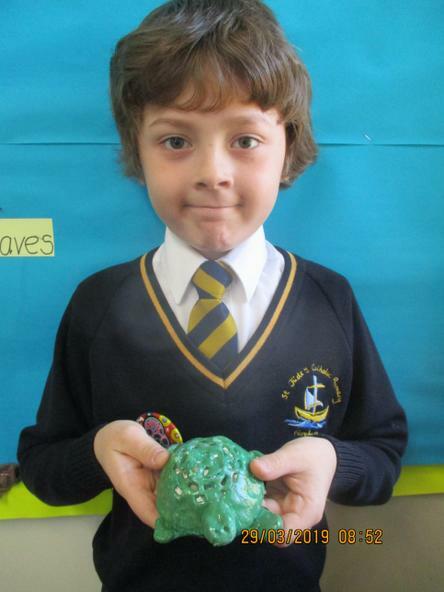 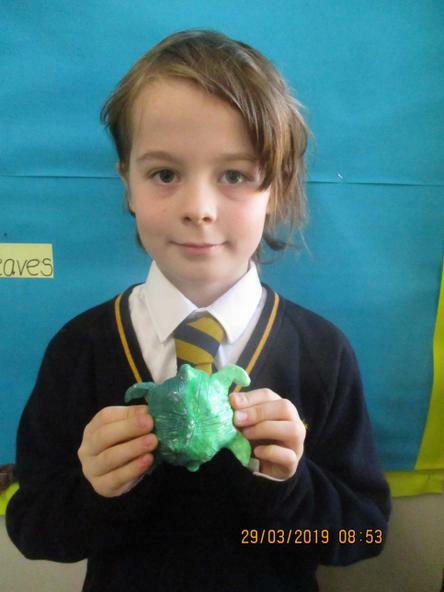 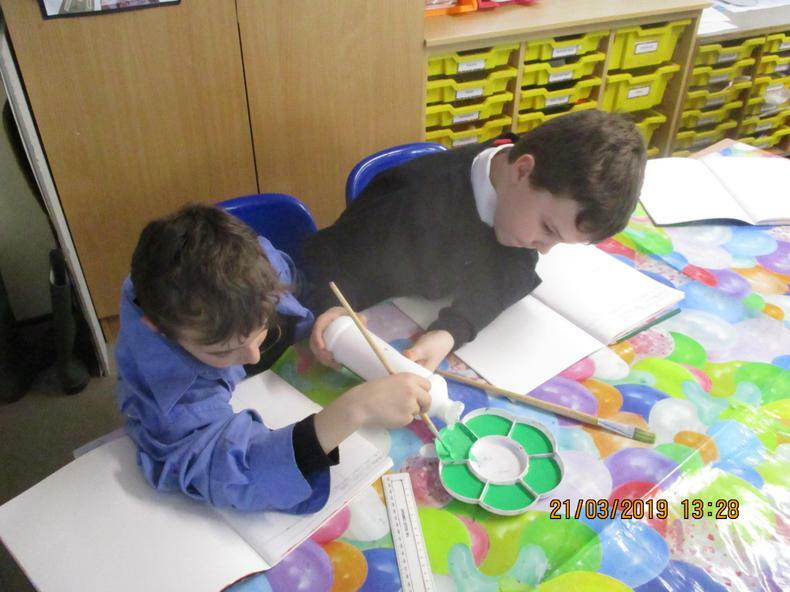 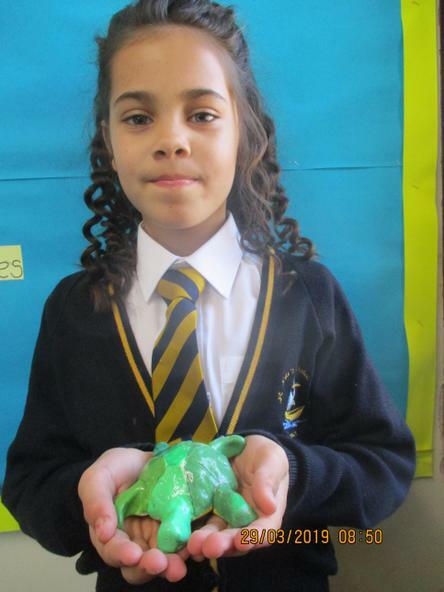 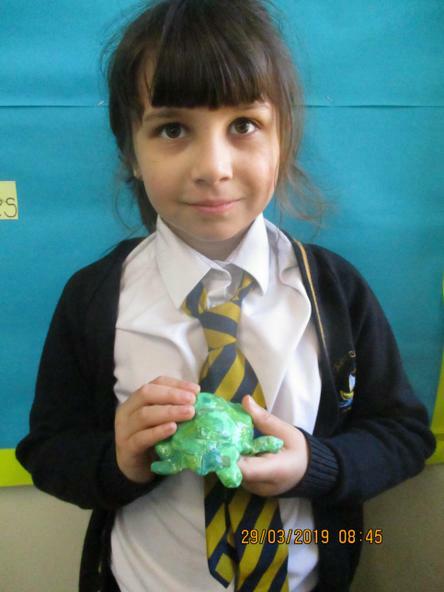 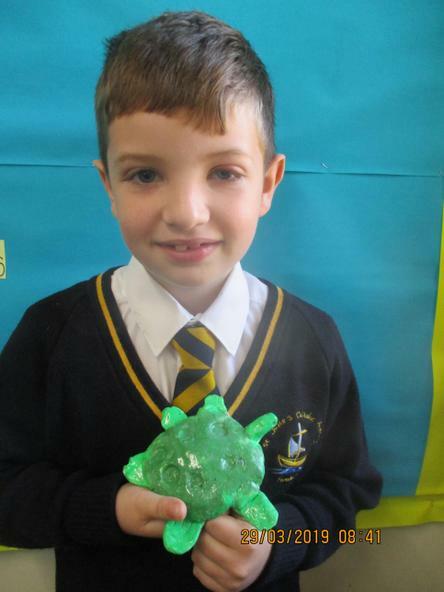 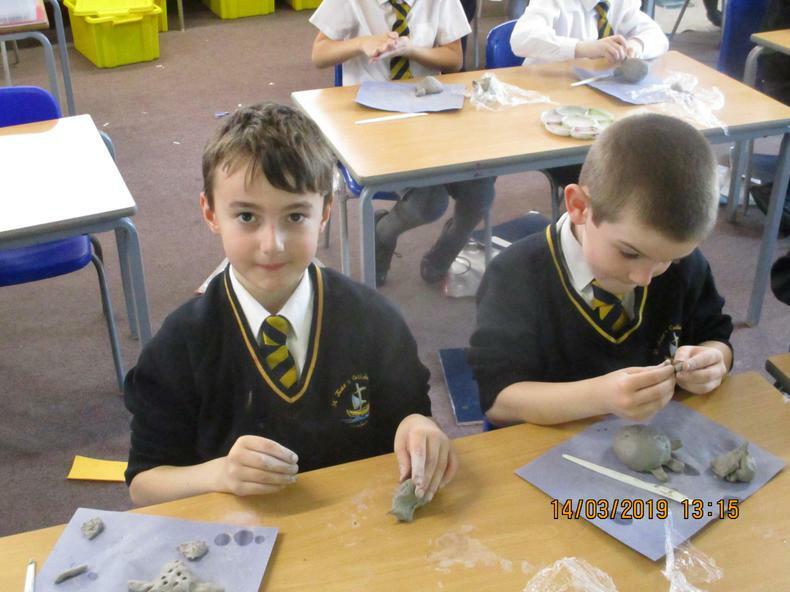 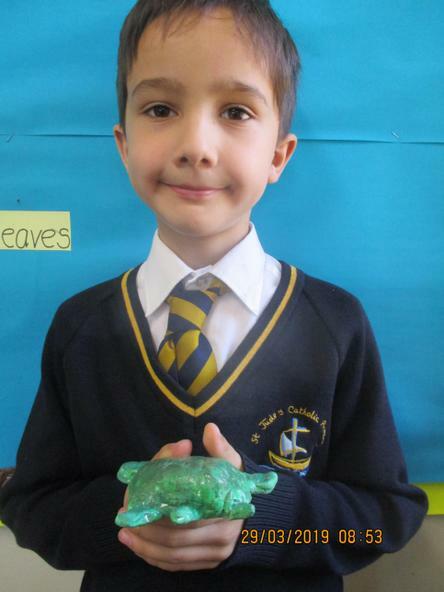 The finishing touches included glazing the turtles with PVA glue.